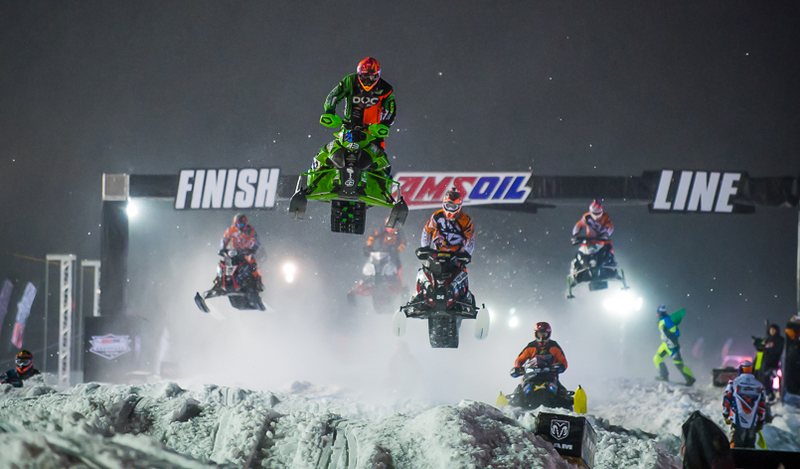 Fertile, MN (January 11, 2016) - Canterbury Park in Shakopee, Minnesota, hosted Rounds 5-6 of the ISOC Snocross National schedule January 8-9. Mother Nature brought a temperature swing of -30 degrees from Friday night to Saturday night. As Logan Christian had his best weekend of the season taking home two 4th place finishes, teammate Dave Joanis came out on Friday charging but his weekend was cut short due to a knee injury. 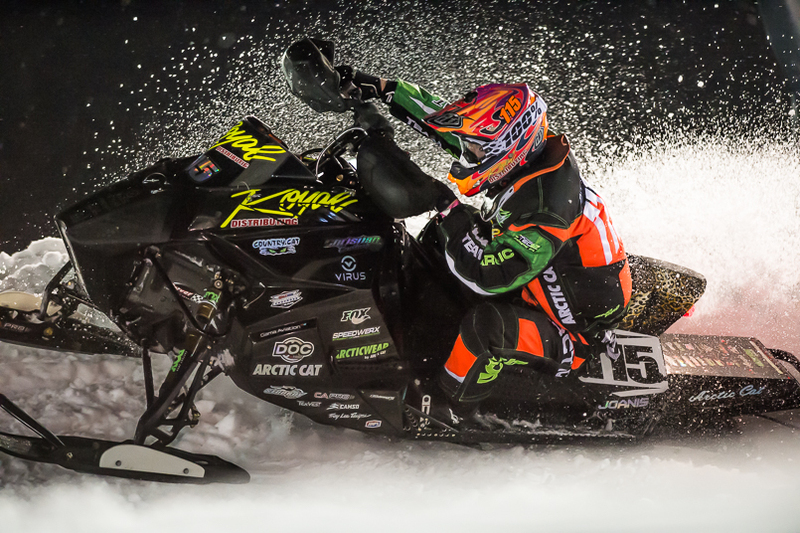 After suffering injuries at the Fargo event, Pro Lite rider Tyler Adams returned to competition. 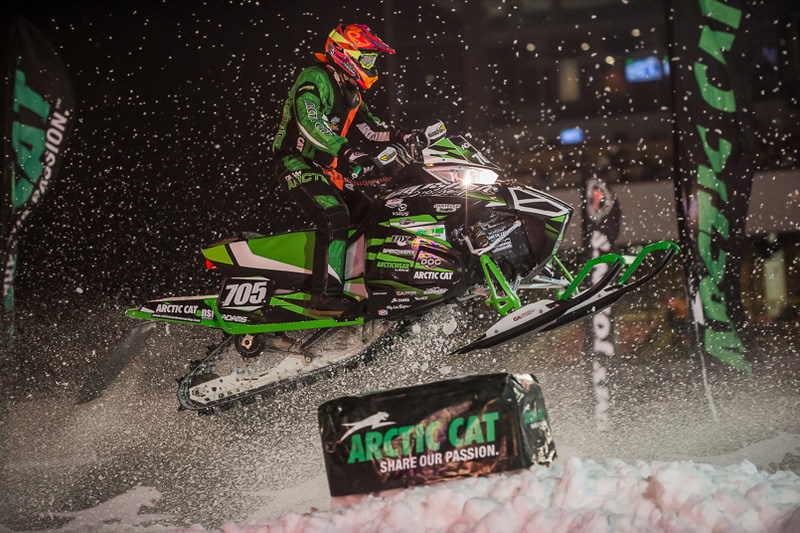 Logan Christian (DOC 360/Arcticwear/Arctic Cat) charged to a 4th place finish on Friday night after getting crossed-up in the closing laps while in 2nd place and coming off his sled. On Saturday, he came back logging another 4th place finish with a hard fought ride in the final. "I was in second in the final on Friday and had a bobble that whipped me off the sled," said Christian. "Got back on and finished 4th right behind 3rd place. Qualified 10th on Saturday so I got first gate pick but got a bad start, came out 8th or 9th and I charged to 4th. My mechanics Betsy Haldorson, Mike Carver and D.J. Ekre had my Arctic Cat working really good and I?m ready to start getting on the box here soon!" Joanis (Royal Distributing/Arctic Cat) went 1-2 in heat racing Friday and was running in 3rd in the final when Joanis' sled was hit by another racer who was re-entering the track causing damage to his sled. Saturday a tweaked knee injury from Friday racing cut his weekend short. "We came into Friday and qualifying went great, but my sled got wrecked pretty bad in the final," said Joanis. "Saturday I came out for practice hoping my knee wouldn't bother me but had to make the decision not to compete, so we'll try to heal up and come back in a couple weeks ready to go." 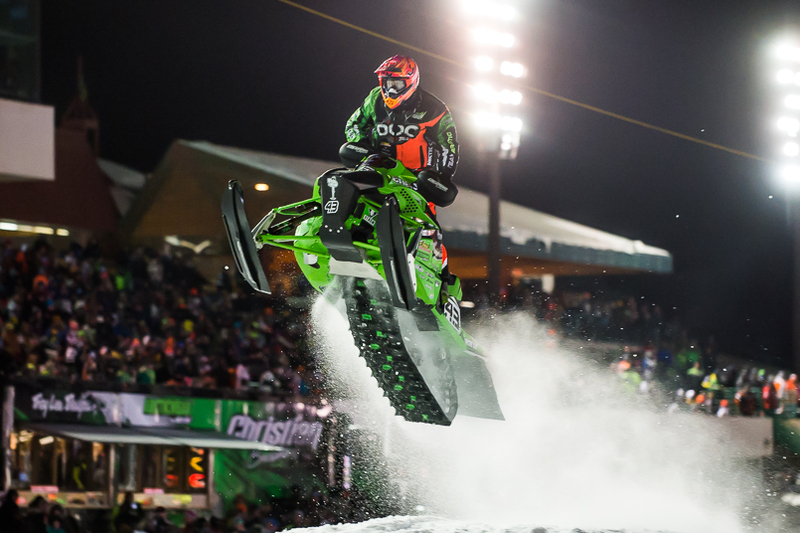 After suffering injuries at the last event in Fargo a month ago, Adams (Arctic Cat) was back on the line in the Pro Lite class at Canterbury, but taking time off to heal put him at a disadvantage. He found himself in the LCQ on Friday, earning a back row start and then riding to an 11th place finish in the final. "Tuesday was my first day back on the sled and I haven't been able to work out until this week," Adams said. "Not a great weekend, but I came out healthy and kept the points rolling!" 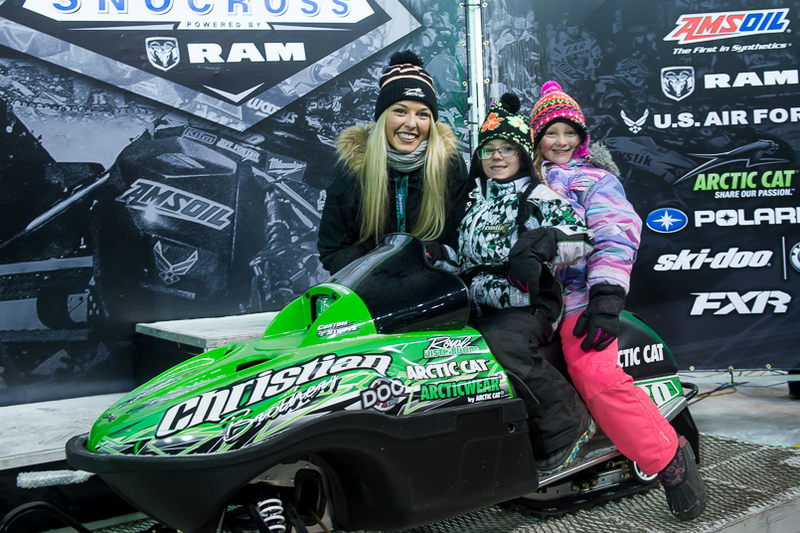 Canterbury was also the scene of the third of eight Arctic Cat ZR 120 snowmobile giveaways with Gracelyn Ziegler bringing home the new sled and looking forward to sharing it with her sister. 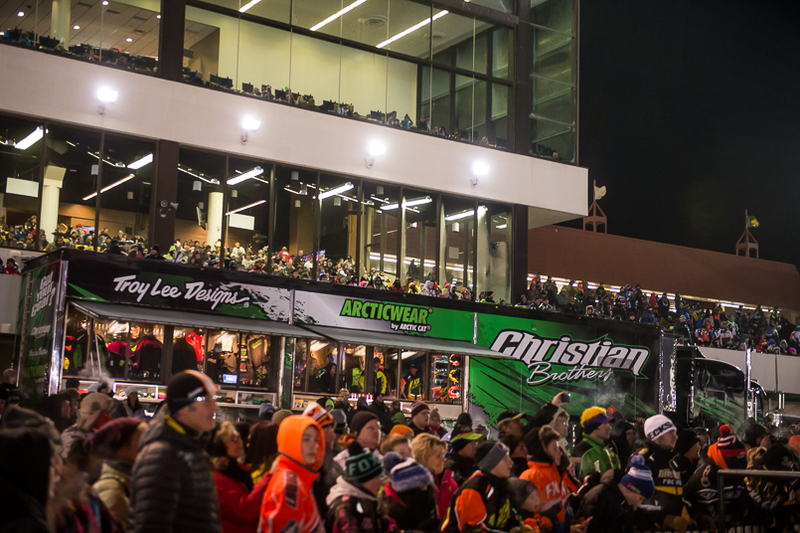 The next giveaway will take place January 22-23 at the U.S. Air Force Deadwood Snocross in Deadwood, South Dakota. Fans can get more information and sign up at the Christian Brothers Racing merchandise trailer.